Coming off its best-ever year, the newly refreshed and energized 2016 Acura RDX luxury sport-utility made its world debut at the Chicago Auto Show, sporting a host of significant upgrades to performance, luxury prestige and styling. Launching at Acura dealerships nationwide this Spring, the 2016 Acura RDX receives Jewel Eye™ LED projector headlamps and LED taillights, a new, more powerful 3.5-liter i-VTEC® V-6 engine, an expanded list of AcuraWatch™ safety and driver-assistive technologies, and a host of new luxury features and technologies, including a new line-topping RDX with Advance Package. 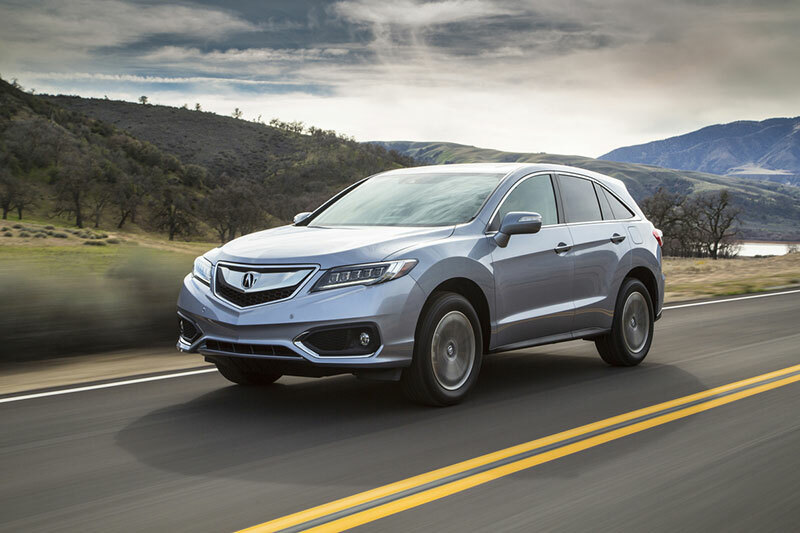 The Acura RDX and MDX have formed a potent 1-2 punch in the luxury SUV game, posting record sales in 2014 well ahead of European rivals in their segments. 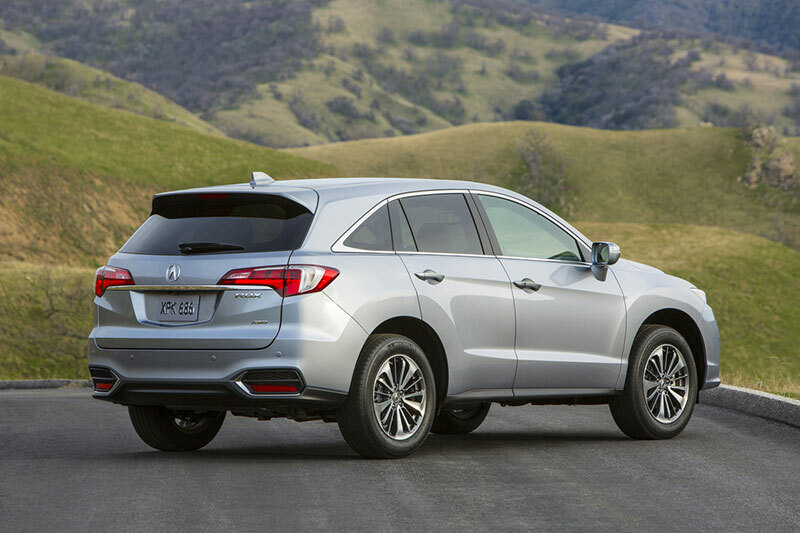 With the 2016 MDX also getting significant new features and technologies, including a 9-speed automatic transmission, the new RDX and MDX stand as an even more formidable presence in the luxury SUV space. The 2016 RDX gets an important performance boost courtesy of its new 3.5-liter SOHC i-VTEC V-6 engine with Variable Cylinder Management (VCM) cylinder deactivation technology. Peak horsepower and torque output are up—279 (+6 hp) and 252 lb.-ft. (+1 lb.-ft.), respectively, while sporting a broader torque curve for more immediate and powerful acceleration response—right where it counts. Variable Cylinder Management™ allows for deactivation of three of the engine’s six cylinders under light engine loads, helping the more powerful 2016 RDX increase its highway EPA fuel-economy ratings by 1 mpg, rising to 19/28mpg for AWD models and 20/29mpg for FWD models (city/highway). Driving refinement is further enhanced by new active front and rear engine mounts, updates to the steering control system and increased suspension mount stiffness. Additionally, the RDX’s all-wheel-drive system – AWD with Intelligent Control – has been tuned for greater rear torque bias to further enhance dynamic stability and all-weather performance. 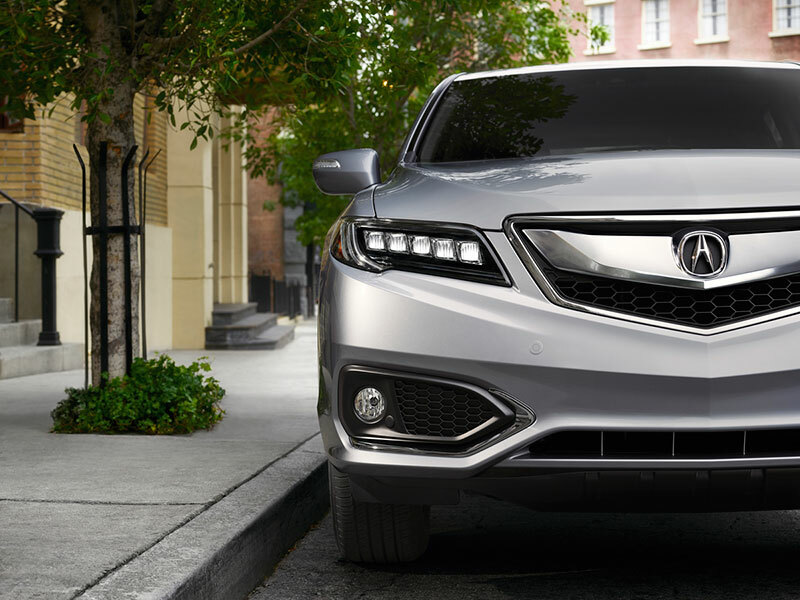 The 2016 RDX also gets key elements of Acura design DNA with restyled front and rear fasciae, including the addition of Acura’s signature Jewel Eye™ LED headlights and LED taillights with light-pipe design on all models and a new three-dimensional grille treatment. The lower front and rear fascia areas also support the new look with fresh luxury details while all models receive new wheel designs. Inside, the new RDX gets a fresh look with a high-contrast silver and black trim plus significant upgrades to both standard and available luxury features and technology, including standard heated front seats and new second-row air-conditioning vents. The RDX with Technology Package adds a new 8-way adjustable power passenger’s front seat (4-way power in base models), Acura’s intuitive dual-screen On-Demand Multi-Information Display (ODMD), HD Radio®, blind spot information (BSI) and Rear Cross Traffic Monitor. A new Advance Package for the 2016 RDX adds rain-sensing wipers, front fog lights, Bi-Directional Keyless remote engine start, front and rear parking sensors, ventilated front seats, an auto-dimming driver’s side mirror, and AcuraWatch™ advanced safety and driver-assistive technologies. Both the Technology and Advance packages are equipped with the Acura Navigation System with Voice Recognition™. All RDX models with AcuraWatch™ also get a new 4.2-inch full-color TFT Multi-Information Display with expanded, customizable information readouts such as average vehicle speed, fuel economy, fuel range, tire pressure monitoring system (TMPS) and turn-by-turn navigation. While offered as standard equipment on the new Advance Package, all RDX models can now be equipped with the AcuraWatch™ suite of advanced safety and driver-assistive technologies, including Lane Departure Warning, Adaptive Cruise Control, Collision Mitigation Braking System™ and Lane Keeping Assist, along with a standard Multi-View Rear Camera and Expanded View driver’s side mirror. AcuraWatch™ uses sensor fusion technology, the cooperative operation of a millimeter wave radar system and a windshield-mounted monocular camera to expand both the scope and fidelity of its sensing capabilities, including the ability to sense and respond to numerous road hazards, including a pedestrian detected in the roadway. In addition to the available AcuraWatch™ technologies, the 2016 RDX offers enhanced collision performance with numerous changes to its Advanced Compatibility Engineering™ (ACE™) body structure that further improve frontal collision performance. The 2016 RDX targets top-in-class safety ratings – a 5-Star Overall Vehicle Score from the National Highway Traffic Safety Administration (NHTSA) and a TOP SAFETY PICK+ rating from the Insurance Institute for Highway Safety (IIHS). The RDX is produced at the company’s award-winning East Liberty, Ohio, plant, using domestic and globally sourced parts. In January, Acura marked the sale of its two-millionth North American-made vehicle in America. Today, approximately 94 percent of all Acura models sold in America are made in the company’s plants in Ohio and Alabama.